Irene Riley, age 86, of Greenville, passed away Friday evening, August 24, 2018 at Spectrum Health-United Hospital in Greenville. 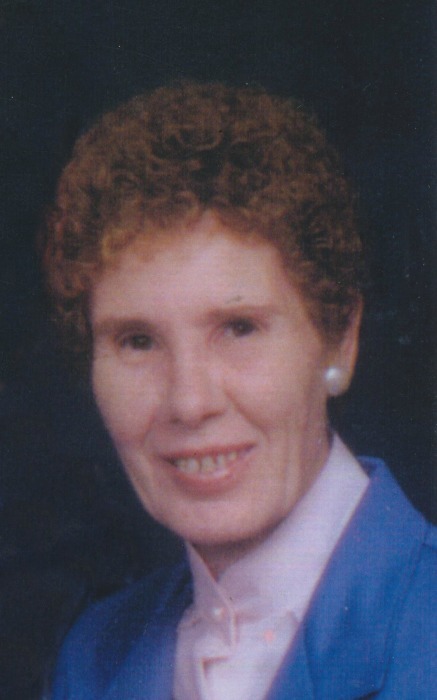 The daughter of Leo & Alberta (Colegrove) Headley, she was born on December 27, 1931 at Trout Lake. In 1965, at Stanton, she married Cecil Edward Riley and together they enjoyed over 50 years of marriage and raised one son. Irene also worked outside the home as a waitress and enjoyed flowers, gardening, handicrafts, and bus trips around the state. She was preceded in death by her parents; her husband, Cecil E. Riley, on September 3, 2017; six brothers, Virgil Headley, Robert Headley, Leon Headley, Richard Headley, Leonard Headley, and Jerry Headley. Surviving are a son, Arthur & Barbara Headley of Swartz Creek; two grandchildren, Adam Headley and Shelli Lund; two great-grandsons, Jake Headley and Ethan Headley; two sisters, Mary VanZandt and Wanda Chrisman; a brother, Don Headley; a brother-in-law, Wayne Thomas; a sister-in-law, Fauna Dennis; and many nieces and nephews. A memorial gathering will be held from 5-7 p.m. on Thursday at Christiansen Cremation & Funeral Care, 511 S. Franklin Street, Greenville. Burial will take place privately at Forest HomeCemetery, Greenville. Envelopes for memorial contributions to the Humane Society of Mid-Michigan, 154 W. Quarterline Street, Stanton, MI 48888, will be available at the funeral home. To send a message of sympathy to the family, sign Irene's online guest book, or to share a favorite memory, please visit: www.ChristiansenCares.com Arrangements were entrusted to Christiansen Cremation & Funeral Care, Greenville.